The Law Offices of DeConcini McDonald Yetwin & Lacy is pleased to announce attorney Jody Corrales will be co-presenting at the Federal Bar Association- Tucson Chapter’s 2017 Civil Seminar held April 20, 2017. Ms. Corrales will be a panelist discussing how access to justice is promoted in the District of Arizona through the Court’s pro se clinic as well as the 1983 pro bono panel. The discussion is entitled “Non-Lawyers in Need of Lawyers: Working with Pro Se Litigants.” Her co-presenters are Stacy Butler and Joe Kroeger. The Federal Bar Association’s mission is to strengthen the federal legal system and administration of justice by serving the interests and the needs of the federal practitioner, both public and private, the federal judiciary and public they serve. Jody Corrales is a member of the Federal Bar Association- Tucson Chapter, and currently serves as a Lawyer Representative to the Ninth Circuit Judicial Conference, a role bestowed upon her by the federal judges of the District of Arizona. She focuses her practice on bankruptcy and creditors’ rights. 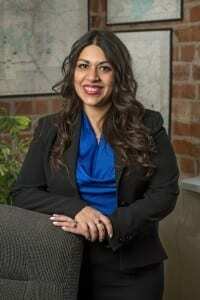 She is Board Certified in Consumer Bankruptcy Law by the American Board of Certification, and is certified as a Bankruptcy Specialist by the Arizona Board of Legal specialization. For more information regarding the FBA’s Civil Seminar click here.